We are manufacturers of Aluminum Solution Heat treating Furnaces in custom designs and dimensions to match customer production and process requirements. 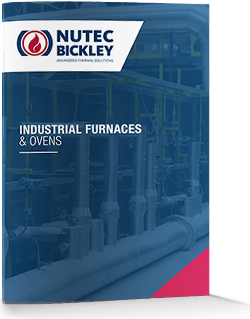 Nutec Bickley provides Car Bottom Furnaces & Ovens in custom designs and dimensions to match customer production and process requirements. Nutec Bickley provides Aluminum Solution Heat Treating Furnaces with the best technology of the industry. Optional PAG (Polyalkylene Glycol/Polymer) management system.